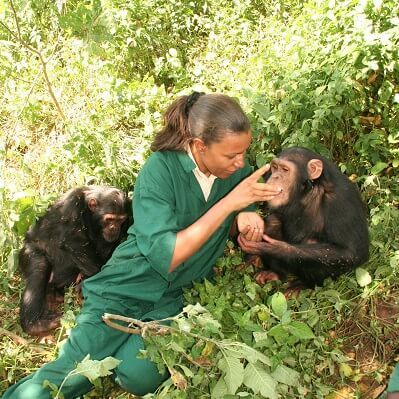 Ngamba is a sanctuary for chimpanzees in need. 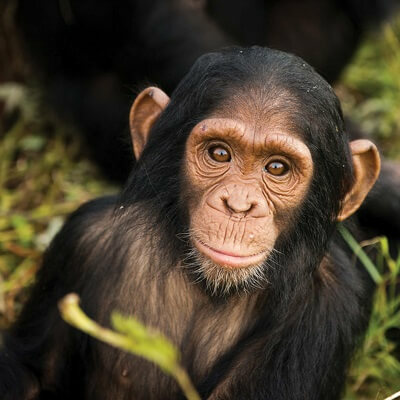 The chimpanzees live in social groups and spend the majority of their time in a 100-acre rain forest enclosure. Before the sanctuary was established, the forest was degraded, but since the chimps’ arrival, the island has blossomed, and is now home to more than 120 species of bird, 50,000 fruit bats, monitor lizards, hippos and other wildlife. 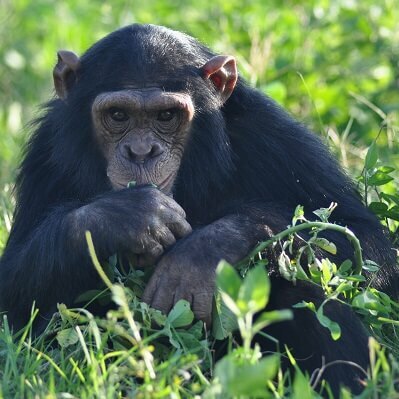 All of these chimpanzees would probably have witnessed their mothers and other family members killed, and often arrive on the island traumatised and malnourished. Unfortunately, they are the lucky ones because many die before they are rescued.